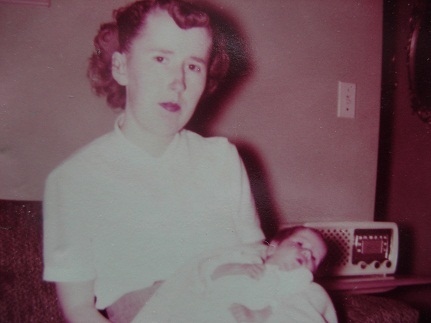 March 6, 2013 marks five years since my mother died from metastatic breast cancer. Sometimes it seems like it was only yesterday. Sometimes it seems like ages ago. As it should, time continues on. Time stops for no one. Five years feels like one of those memorable markers, one of those milestones in the grieving process people speak of. But this post isn’t about the grieving process. Those thoughts will be for other days. The purpose of this post is to remember, to mark time. It seems important for some reason to say the words five years have passed; to state them out loud, to write them down, to share them with others. This post is also intended to be another reminder for anyone who will listen that my mother did not die because she had a poor attitude. She did not die because she failed to “fight the battle” long enough or hard enough. She did not succumb or give up. She died because she ran out of options to treat a wretched disease that still takes roughly 40,000 lives every year in the United States alone. Globally the annual rate approaches 500,000. Pink and pink ribbons have not changed this fact all that much. Behind every number is a face, a life, a family affected. Remembering and honoring one life lost to metastatic breast cancer, somehow remembers and honors them all. I’ve said these things before. I will say them again and again, because such things need repeating. I will keep marking time. Have you lost a parent (or both parents) or other loved one? Have you lost someone you care about to metastatic cancer of any kind? Do you keep track of time that’s passed since losing loved ones? Part of my distraction of late has been organizing my thoughts and trying to define how I can best use my voice to push for change. Feels a little like bailing out the Titanic using a teaspoon at times, but just because it’s hard doesn’t mean I give up. I want you to know I’m still here, listening and sending love and support even if my “voice” has been a bit silent these days. Ann Marie, I know you do understand for a whole variety of reasons and it is really lovely knowing you are always out there, my friend. “Bailing out the Titanic using a tsp at times,” wow, that’s pretty descriptive isn’t it? We’ll keep “bailing” together. I know whatever way you decide to use your voice, it’ll be productive and I know you won’t be giving up. Thanks for all the love and support. I agree whole-heartedly that it is important to mark time, to remember. The past connects us to the present, and if we’re mindful, to the future. May we remember those we’ve lost and do everything in our power (teaspoon at a time as AnneMarie says) to bail out the Titanic. Gayle, Your words are so wise and so appreciated today, my friend. Thanks so much. Nancy, we need to mark time. Time’s drum continues to beat incessently no matter what we do. So making the conscience effort to stop and remember is the only way to give the passage of time meaning. Lovely thoughts for you on this solemn anniversary. TC, Stopping to remember and mark time gives meaning for sure and it’s also part of grieving and healing. Thanks for such lovely and kind words. Thank you for writing this. 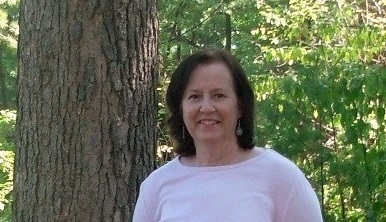 My mother too died from metastatic breast cancer, August 2012. Every day, I note how long its been since she died. Its a horrible, rotten disease. One that I fear. Thank you for sharing photos of your mom. My thoughts are with you on this painful anniversary. Laura, I’m very sorry about your mother. I remember about your loss from a previous comment you made. Your loss is very recent and still quite raw, so you are probably still marking time in days. It is a horrible and rotten disease. Thanks for sharing about your mom and thanks for your compassionate words. Nancy, my thoughts are with you on this oh so painful anniversary. My mother too died from metastatic breast cancer, August 2012 days after I was diagnosed so needless to say it’s been a hard 8 months. Unfortunitly, my “survival time” will always mark her death. Its such an ugly disease. Diane, Your loss is so recent too, the same month that Laura’s mom died. I’m so sorry for your loss – and days after your own diagnosis. That’s so awful. Saying you’ve had a difficult eight months, is putting it too mildly I’d say. And yes, there will always be those two marker dates for you. I’m sorry. Thanks for sharing. You are not alone. Loved the pictures. Besides my sister have lost 2 dear friends to cancer. Betty, I’m glad you liked the pictures. I wish I had more of them. I’m sorry you lost your dear sister and your other friends as well. Hugs. Eileen, Thank you for the kind words. You know, I think my mom would approve of my blogging about all this stuff. She loved sharing stories, experiences – anything really. She’d probably be surprised, too, though! I love the pictures too. What a gift that your children knew their grandmother. To honor a life, to mark time, is so important. And I see comments from AnneMarie C. and Gayle S. and I know that there are many of us right with you. We are turning the pink tide into real action and I appreciate your part in that. We energize one another to continue the work. Thanks! Lisa, I realize I am so lucky that my children did know their grandmother and quite well. They were all very close and were able to all visit with her at the end. They witnessed a lot. It breaks my heart to know many others do not have this gift. Marking time does honor a life and I believe remembering anyone who has died from mbc honors all who have. I truly do. We must not ever forget any of them. Thanks for commenting, Lisa. I have now lost both my parents…though I still have my step-father. My mother as I mentioned in a previous post died of full blown HIV/AIDS due to a tainted blood transfusion. 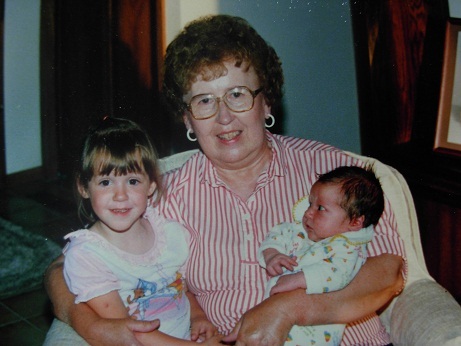 In one year I lost the two most significant women in my life. 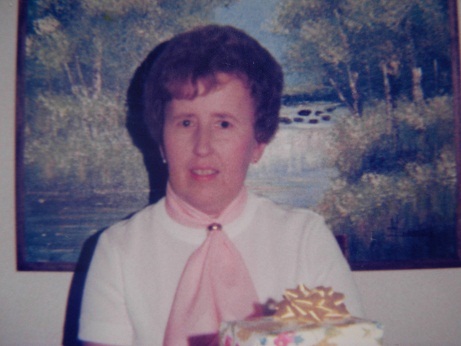 My grandmother died August 1998, she was 94 years beautiful….. Her heart became tired.. Shortly after my mother became ill. She was at first thought to have Burkitts Lymphoma as her liver was full of tumours. She went into hospital Feb 1999 and she never came out again till her death July 12,1999. My mom was 63 Not even a year had passed between my grandmother & mom..
Not a day passes I don’t think of her…When she died our family was never the same..
One of my favourite quotes that someone once gave me. Alli, I’m so sorry about your losses. How tragic that your mother contracted HIV/AIDS due to a tainted blood transfusion and subsequently died so young. 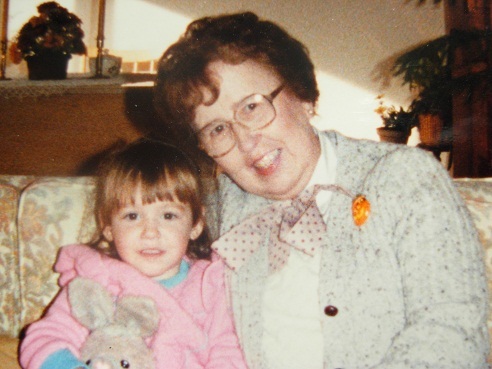 And then your grandmother… A tired heart, that’s a beautiful way to put it. I think it’s wonderful how you took your son to visit his grandmother. Thanks for sharing about such personal losses and for the lovely quote too. Hugs. My mother will be gone 18 years on Mother’s Day. My father died 3 years later. I have been cleaning out some of their papers and in some ways it seems as if they are still here and on the other hand, it seems as if the world is really empty now. Lois, It’s sad and beautiful at the same time that Mother’s Day is such a bittersweet time for you. I’m sorry. It’s hard to part with some of those old papers isn’t it? And I know what you mean about the emptiness. Thanks for sharing your thoughts. I am sorry to hear about your mom. Your story is a wonderful & beautiful way to remember her. Thank you for your caring words tonight also. We are living one day at a time. Tracey, You are so kind to read and also to comment. Thank you so much. I’m so glad you’ve been coming to the meetings, I know sometimes things get off-track and seem irrelevant to your situation, even I think that! Still there is wisdom, warmth and compassion there and those are the things that matter most. Let me know if I can help further. Did you find some of my hair posts? And yes, one day at a time… Thanks again. Sounds and looks like your mom was an amazing and dear woman. I am sorry too that we have not made as much progress. Thank you for sharing. Darla, Thank you so much for your kind words. I lost my mother to metastatic colon cancer just six months ago. She fought for six long years. In the end, she was so beat down I no longer recognized her as my mother; the weak, bald, unsmiling woman I said goodbye to was not the same woman whom I called friend. It breaks my heart she had to endure so much for so long. Briana, I remember this from one of your previous comments. I’m so terribly sorry for your family’s loss. I completely relate to your words about how cancer transformed your mother physically. It did the same to my mine. Cancer is a brutal disease. I’m sorry your heart feels broken, but I’m hoping it’s also full of wonderful memories. I think it is. Hugs. 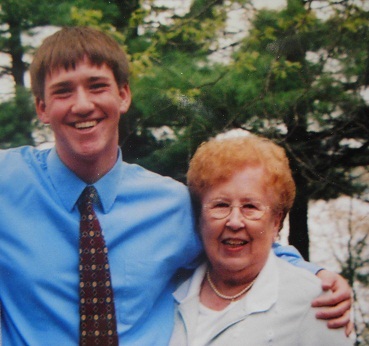 A remarkable post that honors your mother so beautifully. The pictures are wonderful. I’m sorry for all the pain you’ve gone through — from your mother’s tragic death to your own diagnosis. It’s a tough path to lose someone to cancer. I’ve lost several dear friends to metastatic cancer of all kinds. I most recently found out that someone I know has Stage IV pancreatic cancer. Beth, Thank you for your caring words. And I know you’ve lost dear ones to mets as well. I’m sorry. I’m also sorry to hear that someone else you know has just been diagnosed with stage IV pancreatic cancer. So horrible. i am so terribly sorry for the loss of your mother, and also sorry that you endure the pain of knowing that so many others are dying every day. it’s hard to imagine what that feels like, but i know it must make the ache in your heart more profoundly painful. i hope you can FEEL all the empathy and love and great admiration for how you have honored your mom. marking time is important, grieving is important. by leaning into your grief, as you do each time you think or speak of your loss, honors the love you shared with each other. and though you might get knocked down by those awful waves of loss and sadness, by getting back up, choosing to go on, cherishing all the most wonderful memories, and vowing to keep remembering, i hope you also feel the truth of LOVE that never dies. Karen, Thank you very much for your kind and compassionate words. They were simply wonderful to read. And yes, I call the memories ‘treasures of the heart’ because that’s exactly what they are. Thanks again. Marie, I’m thinking of you, Marie. I hope knowing you are not alone in this too, helps just a bit. Hugs. Jan, Thanks so much. And yes, it is indeed sweet that your son texts you each November 16th. It’s a simple, yet lovely ritual for you both to share. I enjoyed the pictures you posted. Lindsay, I’m glad you liked them. Thanks for commenting. I have lost two sisters to metastatic breast cancer. The first in 1967 at age 37 – the second in 1989 at age 55. I have been spared, or so it would seem. I am now 74 and in excellent health. It still seems impossible – only happens in other families. Haven’t undergone genetic testing – but have been faithful in medical check-ups. Sally, I am so sorry about your two sisters. That’s so awful. Knowing without a doubt there is cancer in the family is a burden for those family members who do not have or get cancer too. I’m sure you’ve wondered at times why them and not you, but I’m so glad to hear you are still in excellent health. That’s truly wonderful. Thanks so much for sharing about your situation. I hope to hear from you again. My best. Also, I have participated in several studies through the years – The Sister Study at Cornell (I think) and an earlier tamoxifen blind study. The sister study delves extensively into environmental upbringing and we all three were raised in the same place, had essentially the same life. Interesting. There is no previous history of breast cancer in the family but many women in the family died young and were never diagnosed. Sally, It’s good that you chose to take part in some studies that might help to figure some of this stuff out. It is puzzling when siblings are raised in the same environment and some get cancer and some do not. I’ve wondered about that same thing myself. Of course, there are many factors that come into play. Again, I’m sorry for your losses. Thanks for adding more thoughts to this conversation. Nancy, what a beautiful memory of your mother. I love how you shared the precious pictures showing your children with your mother. I am sure the anniversary and time after it must have a mix of emotions. I lost my father in 2008 to pancreatic cancer, my brother almost 2 years ago of esophageal cancer, my closest friend who went through primary chemo with me at the same time, secondary chemo for MBC and died last year. I have have very close friend who gave me a home that is dying of lung cancer #NO STIGMA. But the important thing is to keep on keepin’…Plus remembering. Thank you for sharing this . I am sure you must miss your mother a lot. Susan, Thank you so much. You’re very kind. And I’m so sorry for your losses, Susan.